Your iPhone is almost always with you when you hop into your car. 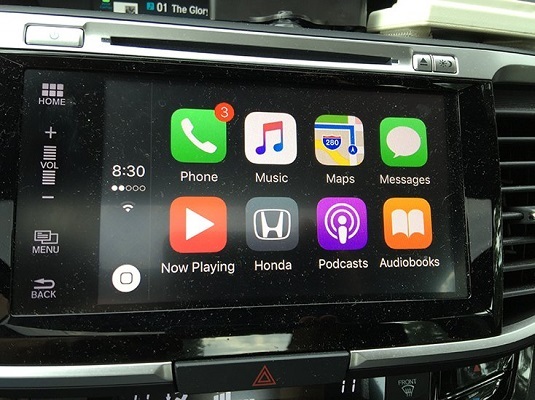 If you happen to drive one of the increasing number of vehicles that support Apple’s CarPlay, you can display icons for the Phone, Music, Maps, Podcasts, and other apps, including many from third-party publishers, right on your car radio or dash. So it’s a breeze to hear songs, take or make calls, or get turn-by-turn directions piped in through your car’s speakers. CarPlay can make a call or steer you to a particular song, destination. CarPlay is soon to be compatible with more than 100 models from every major automotive manufacturer. Some vehicles support wireless CarPlay; if yours is one of them, press the voice control button on your steering wheel to begin the setup. With iOS 10, Apple can help you remember where you parked your vehicle. Assuming you were using Bluetooth when you parked, Apple will record the location of the car and plot it on a map, which you’ll find referenced in the today view. At your discretion, you can add notes or shoot a photo when you park your vehicle.